This very popular under-the-mirror light is now available in TRI-COLOR!! Three colors with (6) Led's of each color, for a total of 18 Leds. All the same features are included as in the dual color model. The same brackets are also available as well. 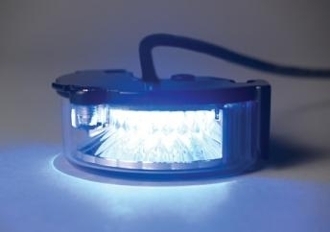 These lights are in production now, so start ordering! 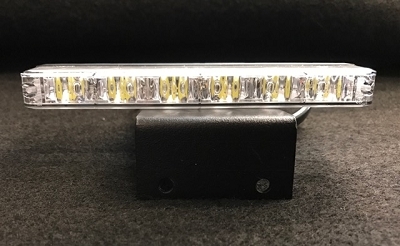 This light was designed to mount under the mirror of emergency vehicles to provide a critical intersection warning signal like no other light on the market. 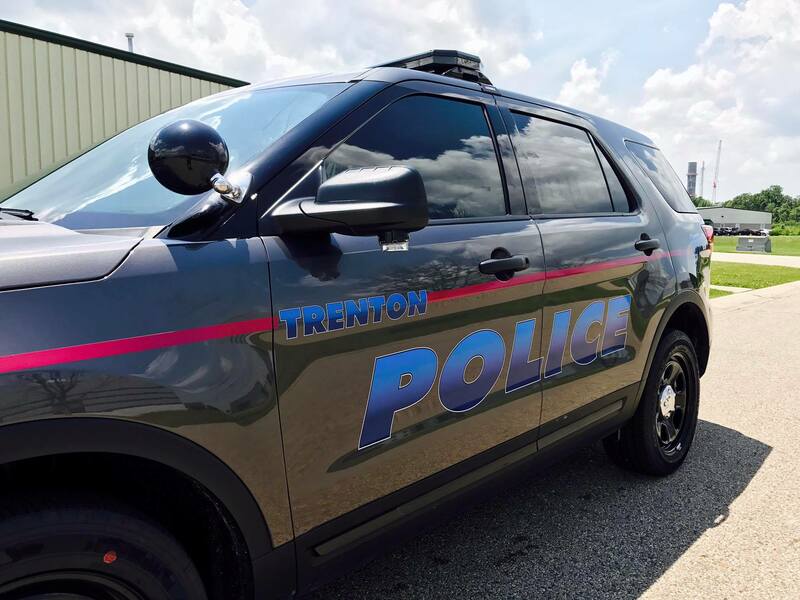 This powerful, small light provides 180 degrees of warning power to increase visibility at intersections for maximum safety for all motorists; emergency personnel and civilians alike. Powerful output, wide angle, specially designed optics & innovation... all the things you've come to expect from a SoundOff Signal product. Light has a 5 Year No Hassle Warranty & is certified for SAE J845 Class 1 at a 100 degree angle. Compact & bright, the light is designed to mount under the mirror, or can be surface mounted to any flat area. 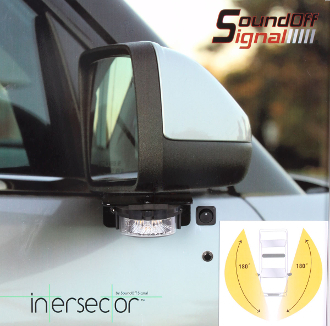 Intense 180 degree output is maximized by the specially designed reflector that amplifies & throws the light at a perfect angle for intersection warning increasing officer safety & the safety of other motorists. 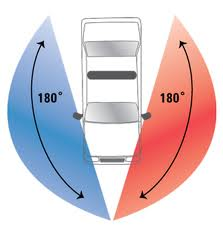 10 degree wedge is recommended for use on Tahoe & truck mirrors.